Edward Fletcher, 95, of Chattanooga, passed away on Thursday, February 7, 2019 at his residence. He was a veteran of the United States Army. He was employed for Mueller Company for many years and he also owned a janitorial service. 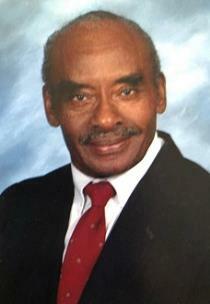 Edward was a faithful member of Greater Tucker Missionary Baptist Church and the Good Neighbors Program. He was preceded in death by his parents, Zola Lockhart Fletcher and Leroy Fletcher; brothers, Ulysses, Herman, Winfred, and Carlos; sisters, Mildred, Mintha, Agnes, and Nannie; grandson, Justin; and granddaughter, Carrie. Survivors include his wife of 71 years, Carrie Fletcher; son, Douglas Fletcher of Chattanooga; daughters, Bertha (Herbert) Wallace of Levittown, PA, Carolyn Fletcher, Marshal (Spires) Baker, and Lynn (Rick) Mears, all of Chattanooga; 11 grandchildren; 14 great-grandchildren; eight great-great-grandchildren; brother, Larry Fletcher of California; sisters, Zola Chase, Dorothy Readus, and Ernestine Tibbs, all of Huntsville, AL; sisters-in-law, Dorothy Allen and Rose Fletcher; brother-in-law, Henderson Readus; cousin, Pastor Oscar Lockhart; a host of nieces; nephews; cousins; other relatives and friends. Visitation will be on Tuesday, Feb. 12, from 6-7 p.m. at Taylor Funeral Home. Funeral services will be on Wednesday, Feb. 13, at noon at Greater Tucker Missionary Baptist Church with Pastor Gary Hathaway as the eulogist. Burial will be in Chattanooga National Cemetery.